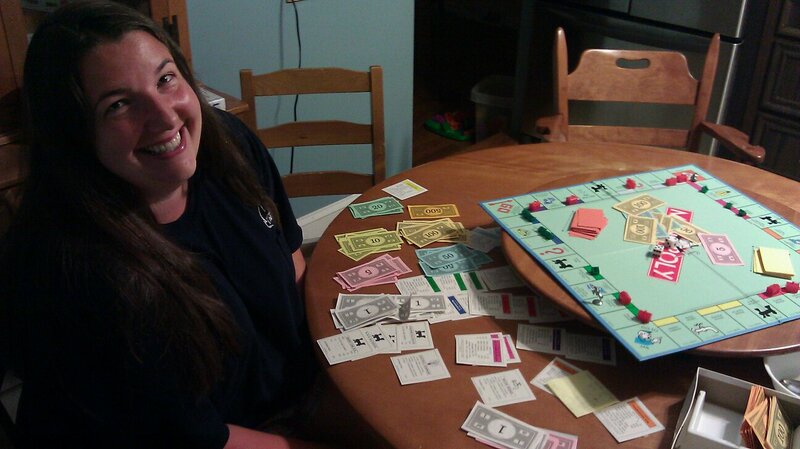 My wife beat my niece and me at Monopoly last night. Look at her gloat! This morning I woke up thinking about how poorly Monopoly fails at helping society. Now I am a good old pro-capitalism republican, but winning should not mean driving everyone else into bankruptcy. An entire generation grew up playing the game, and now they are running corporations where the values of Monopoly seem all too prevalent. I think I will design a new game, one that presents society well, and honors hard work, entrepreneurship and giving. Hello, and thank you for visiting. This blog is a window into my personal side. Poking around you'll hopefully find some spiritual insights, some political thoughts, a few windows into my way of thinking, and very likely a few less than appealing rants. My wife is a prolific blogger, and handles the majority of the family picture updates, etc. so my goal here is simply to keep a little bit of who I am on display digitally.